From The Table at De Meye and Overgaauw Restaurant in Stellenbosch, well known chef and cookbook author Camilla Comins joins the team as the new resident chef at African Relish Cooking School. 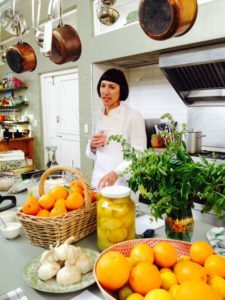 As of August 1st Camilla will be running the cooking school kitchen and teaching our scheduled and anytime courses in Prince Albert, the culinary heart of the Karoo. Her restaurant will re-open in the African Relish courtyard on August 11th for dinner service on Fridays and Saturdays. Chef Camilla brings her reputation as a trained chef, food product developer and photographic food stylist to African Relish. 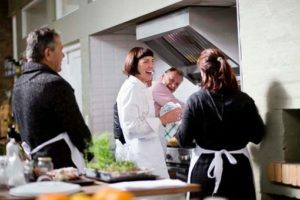 Her creative approach to menus and ingredients will add greatly to the selection of recipes and classes. Always bringing a smile into the kitchen, chef Camilla notes that her aim is a “simple approach to food which honours the ingredients while drawing on classic dishes and styles for inspiration”. 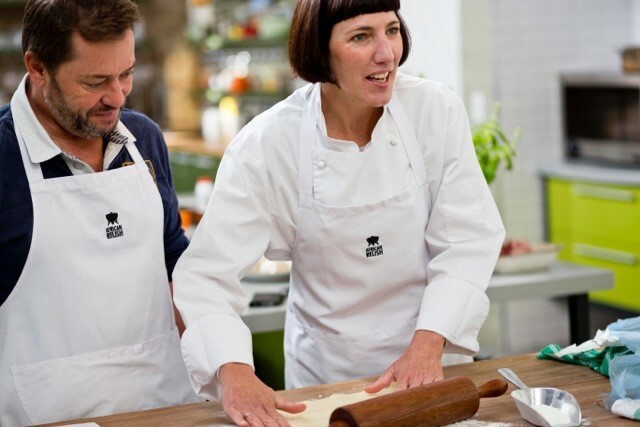 We will also be introducing a Kitchen Confidential weekend master class with Camilla, where students can spend two days learning the finer details of restaurant prep as well as professional tips and secret restaurant recipes. Watch our calendar for dates. We say a big thank you to chef Jaco Fourie for his fine service at African Relish, both in conducting many successful, tasty and fun cooking classes and in catering for various weddings and events. He will be missed, and we wish him well in his new venture.